Turn your San Diego house into a safer, more comfortable place to live by reducing harmful UV rays that will protect home furnishings from sun damage or enhance the elegance of virtually any glass surface in your home with LLumar window films. San Diego consistently has beautiful weather and adding residential window tint is the best way to help control the sun as well as your energy bill. LLumar window films will also protect your home or office with security window films and enhance your style with decorative window films. Solar Control Window Films: Filter out more than 99% of harmful UV rays to reduce fading, lower energy costs, block heat & glare, improve appearance and enhance privacy with this energy efficient investment. Energy Saving Window Films: Significantly reduce energy consumption by up to 40% with improved HVAC efficiency and an average payback within three years. 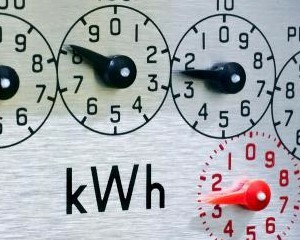 Potentially qualify for utility company rebates. Safety and Security Window Films: A thin transparent protective barrier made of heavy-duty polyester will guard against bomb blast, severe weather, force entry and graffiti. One of the world’s best-selling brands of window film, LLumar, produces high-performance films to enhance comfort, aesthetics, safety, security and energy efficiency. They specialize in improving every glass surface for home, architectural, automotive, and commercial window film projects. Create a mood or address a functional concern with LLumar window film to create frosts, patterns, textures, gradients and other specialty designs. You can enhance virtually any flat glass surface such as shower enclosures, glass cabinet doors, glass tabletops, and exterior windows to name a few. 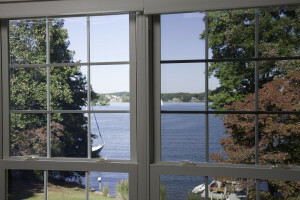 LLumar window film boasts window glare reduction up to 87% so you can easily relax and watch television or use the computer. Available in a variety of clear, light, and subtle shades you can enjoy the view from a significantly glare reduced window. LLumar window film helps prevent sun damage to your home’s interior and preserve the color fabrics, carpets, and hardwood floors with UV window film. Designed to protect your eyes, skin and possibly premature aging don’t add extra risk of skin cancer because you can never be too safe. An extra measure of protection for you and your family made out of thick heavy-duty polyester bonded by strong adhesives, these films provide a clear and invisible barrier that helps hold glass in place in the event of an impact of earthquake. 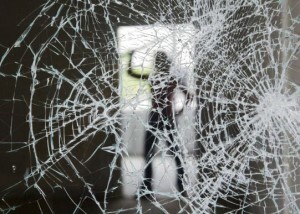 Greatly reduce risk of damage to your home from flying glass shards and unexpected shattered windows with LLumar window film. Optically clear, this window film meets the toughest industry standards in the US, EU, and around the world. Keep out lurking intruders with reflective window tints so they can not see into your home. Use window security with window film as an important addition to keeping your home and family safe. In San Diego you don’t need to replace your windows, just apply LLumar energy-savings window film as a more affordable alternative. Keep the heat out and reduce your cooling costs with the cost at nearly one-fifth of the cost to replace your windows. Average payback within 3 years. Energy audits estimate buildings retrofitted with LLumar energy saving window films could realize annual energy savings from 5%-15% with reduced carbon emissions and an average payback often within three years. Nearly 3/4 of existing windows are not energy efficient and large cooling load is from solar heat gain through windows.